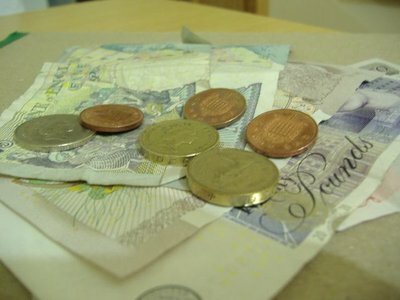 Back in June I wrote an entry in my blog entitled A £ of Flesh (Part 01): The Price of Clean about how much it cost to do laundry. As you can guess from both the fancy title with a colon and the use of Part 01 in the title, I was expecting that entry to be the first in series. In addition, given that I used 01 instead of just 1, apparently I was expecting it to be the first in at least 10 entries. In fact, I was expecting to write a bunch about how much stuff cost here, and I thought the whole "pound of flesh" thing was a clever way to group them together. Here we are at the end of October, 4 months later, and I haven't written about the subject again (until now). It is not because things in London have gotten cheaper. They haven't, other than housing prices, but thanks to having no job, no credit and no banks in London lending money to anyone, lower housing prices don't do anything for me. No, it happens that I stumbled on the secret of not being bothered about prices. I stopped converting. When I travel as a tourist, I tend to be constantly exchanging money. Not physically exchanging it, just in my head. 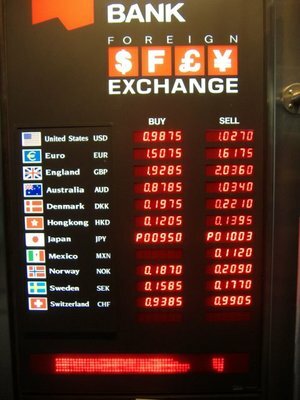 Every time I walk up to a shop, talk to a taxi driver, walk up to an ATM or pull out a bunch of Canadian dollars at a exchange booth, I am figuring out how much the local currency being requested is equal to in Canadian dollars. I think most people probably do this. "Let's see, 34,000 pesos, at about 500 peso per dollar, that works out to... ummm.... 34 times 2 is... sixty-something... 2 times 4 is 8. So, 68 Canadian. Hmmm, that seems like a lot for a cheese sandwich." Anyway, sometime shortly after I posted the first £ of Flesh entry, I stopped doing that mental exchange rate shuffle in my head. I just started looking at prices in pounds and pence. That's not to say that I just buy anything thrust in front of me. I am still unemployed and thus on a tight budget (international jet-setter trips to France, Belgium, Canada and the USA notwithstanding), and thus am careful with my money. I do still compare prices, but now it is between shops in London, and not between Canadian and UK prices. In figuring out how much money to transfer to the UK, I had to convert my monthly UK budget from pounds to Canadian dollars. "Damn, that's a lot of money," I thought. "How come I haven't realized that before?" That's when the light came on. I hadn't realized it because I never bothered to convert it. I am living cheaply by London standards. It's just that London standards aren't cheap.